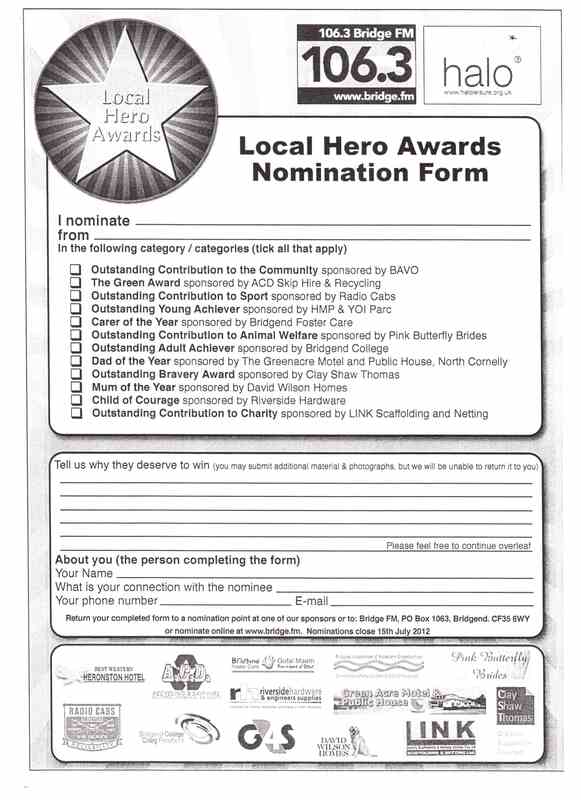 Bridgend Local Hero Awards – any Green nominations? Nominations close on 15th July. Any suggestions for nominations for The GREEN AWARD, in particular? This entry was posted in Uncategorized on July 8, 2012 by Bridgend's Green Leftie.